The real estate industry captured my interest at a very young age, keeping my Father company at his real estate company. There is a lot to be said for dedicated REALTORS who have the compassion to help owners sell their property when the need arises. And not every sales person is anxious to break away from what ever personal obligation they might be involved with, any day - seven days a week, to immediately scout for real estate meeting the buyer's requirements. A 40-year pro-active veteran in Real Estate can share many tools and talents to get the job done right because of the experience and training. Completion of commercial real estate school, appraisal school, residential specialist classes and accredited buyer's agency certificate assures me you will receive the professional services you deserve in today's real estate market. Personal production accomplishments include Top Listing Agent to Top Selling Agent, Million Dollar Club to Multi-Million Club, Summit to Pinnacle Board of REALTORS awards and RE/MAX Executive Club to Hall of Fame. Let my passion for REAL ESTATE POWER your next move! Bought a home in 2016 for approximately $150K. As lake newbies, Ron first took the time to understand what we were looking for in a lake place, how we wanted to use it, and what was important (or not important) to us. He listened first, then spent time with us looking at options that fit our want list and budget. After we found a place and made an offer, Ron took care of all the coordination of inspections, paperwork and other items so our deal could go very smooth. When we had questions, Ron was always very responsive. We closed quickly and thanks to Ron we are now first time lake home owners. 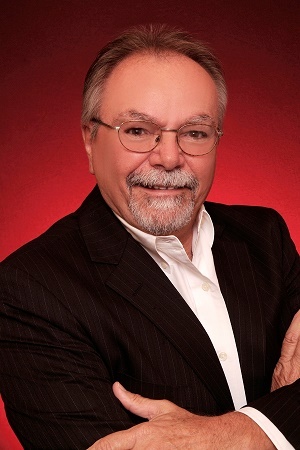 I would sincerely recommend Ron for your lake home needs whether buying or selling. Ron took great care of us! Sold a home in 2016 in Taylor, Carson, IA 51525. Ron is a very professional salesman. He kept us updated on the sales process extremely well. He answered all of our questions in a timely manner. Ron has integrity and above he is a man of Faith. Sold a home in 2016 in Dodds, Climax Springs, MO 65324. Ron is a very accommodating and personable individual. He will go out of his way to do whatever needs to be done and communicate that to the seller, in my case. Whatever loose ends there are, he is on it. I don't know if there is a realtor Hall of Fame, but he needs to be in it. Thank You Ron!! You did more than I ever imagined. He is there when you need him! Bought a Single Family home in 2010 in Gravois Mills, MO. Ron did a great job helping us find the house we were looking for. He listened to our needs and wants, carefully evaluated our response to each house that we toured, and tailored the search to houses that fit the profile we desired. He helped us understand the current market conditions and the appropriate value for the home we selected. He then did a great job helping us get to the price that we could pay and that represented the fair value of the home. Have recommended him to others with similar results. Sold a Single Family home in 2010 for approximately $175K in Alafaya, Orlando, FL. Ron Slaughter was an excellent realator. He sold our house in three weeks, and got us $1000 over our asking price. He always answered his phone no matter what time I called, and was very professional and knowledgeable. We could not have had a better experience. I highly recommend using Ron for all of your real estate needs. You will not be disapointed. When your clients come to you as a referral by their family members it's All Stops Out until your job is done. I've always enjoyed working with young families and want to promote good relationships with them in order to set the tone for their future expectations with Real Estate. Having a great family to work with makes my job easy work! Bought a home in 2011 in Shiloh Station, Belleville, IL 62221. My wife and I were both very happy with Ron not only as a great realtor but also as a very nice person. In an unforgiving economy and a housing market plagued by declining values I feel it imperative prospective buyers spend adequate time interviewing and selecting an Accredited Buyer's Agent to represent them with their real estate purchase. Larry and Susan entrusted me for those services and I pledged to meet their needs! I appreciate their trust and acquaintance.